use the password given at the school. Directors : Gail ter Haar, Vera Khokhlova and Jean-Francois Aubry. Organized by : Cyril Lafon, Mathieu Pernot and Thomas Deffieux. This Winter School will explore the rapidly emerging field of therapeutic ultrasound. Topics will range from an introduction to the physics and biophysics necessary for understanding these techniques through to their clinical application. 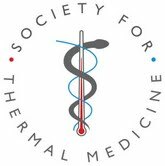 The objectives of the Winter School are to provide a current overview of the field as a contextual background for the work of individuals participating ; to encourage discussion and shared consideration of different approaches to understanding ultrasound therapy. This is a broad and complex topic in which the synergy of a multidisciplinary approach is particularly valuable. The Summer School will encourage this approach. Each topic will be covered by an Invited Speaker who is a world authority in the field.